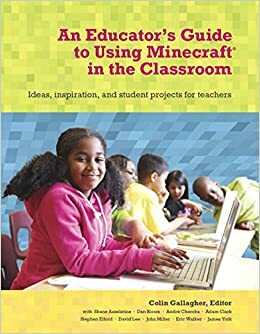 The most obvious question a teacher could ask about Minecraft in education is: “Well, what can you do with it?”. I always found that the answer would be ever-changing due to who was asking the question! With that in mind, I wanted to create a living and breathing archive of what has been done with Minecraft in education so teachers could find out for themselves and see some real-life examples that were relevant to their subject area. Just a quick reflection on the Minechat journey so far. When I thought about doing this around a year ago, what I wanted was to create an online depository for teachers to see, actually SEE, what is being done with Minecraft in Education. Talking in Skype and screencasting myself and the guests walking around their Minecraft world was the most obvious method to use. I knew as a by-product of that I would be learning something too, and making meaningful connections with like-minded individuals. I’m pretty happy with how it has gone and long may I find teachers (and students) willing to share what they are doing. Episode 23 and 24 are on their way! So with that being said, it’s about time I caught up with my Minechat playlist on Edutechniques! The last episode I blogged about being Episode 17 and there have been 5 episodes since then! My guests Liam O’Donnell, Denise Colby, and Diana Maliszewski have a great space created in Minecraft where teachers and students alike drop by, play, and create teaching and learning spaces. I enjoyed this episode immensely; it’s always easier when there are more voices to learn from! Always nice to chat with Adam Clarke and see what shenanigans he is up to! In this episode he showed me some basic Redstone programming and then unveiled a massive scanned in human torso!! Oh and this was the episode where I lightened the main text on the intro screen to make it stand out more and changed the colors of the lower font! This episode I chatted with Maria Cipollone and Rick Moffat. We were in a world that Maria used with some students about structures. This episode was really interesting as we got into a wide-ranging conversation covering games in education, stereotypes about gaming, and education in general. Very enjoyable. This was a great little episode (maybe the shortest!) in which Dan Bloom showed me around his single player world in which students go through the process of extracting DNA from a cell! Not knowing anything about this, I could tell right away the way in which this would help students grasp some complex subject matter. It all started off way back in Episode 1 with Joel Levin so when I saw that he was involved in setting up a MinecraftEdu world using QCraft I had to get him back on to explain what it was all about. Katya Hott also joined us. Quantum Physics is not something that is easily grasped but having gone through the QCraft mod with Joel and Katya I actually did come away with a fundamental knowledge of some aspects of quantum physics. I wonder what Joel will get up to next…?